i am very lucky to have started my career with the incomparable li edelkoort, the renowned trend forecaster who is based in paris - though she will be spending a lot more time in new york city as she was recently appointed dean of the hybrid design studies department at parsons school of design. 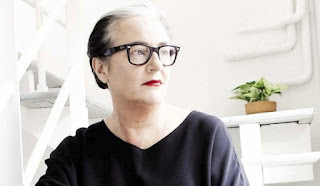 for those of you unfamiliar with li's work, here's a quick run-down: lidewij edelkoort is one of the world’s most famous trend forecasters. she is an intuitive thinker who travels the world studying the evolution of socio-cultural trends before sharing this information with her clients in industries as diverse as fashion, textiles, interiors, cars, cosmetics, retail and food. under her paris-based company trend union, li creates trend books two or more years ahead that are tools used by strategists, designers and marketeers at international brands (coca cola, nissan, time warner cable, lacoste…). since 1992, li’s magazines have helped redefine the publishing medium, acting as inspirational style bibles that have become ideograms of their time. view on colour, inview and bloom are trend tools used by creative professionals and avid amateurs around the world. her achievements in the creative, educational and humanitarian field are too numerous to mention. li is truly one-of-a-kind and i consider my 8 years working for her (3 in paris, 5 in new york) to be a bit like my phd. 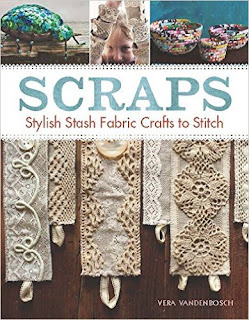 that is why i could not be more proud to be part of her upcoming trend seminar on november 17, 2015 in new york city with a short presentation on my book scraps. and this will be followed by a half-day hands-on scraps workshop at the edelkoort offices on november 18. click here for all the info and details. hope to see you there! One of my son's Taiwanese friends believes it to be Japanese and thinks it translates as "the person of dyer". So as it's fabric, the suggestion is it's about the skill/manufacturer of the fabric and that the pieces are probably samples of that artisan or manufacturer. I envy you owning such a wonderful item Jane, it's truly lovely and of course very mysterious!